you will be comforted to know that you have the protection, availability and power of Visa. Acadian Federal Credit Union, with the option to reply with “NO” if Fraud or “YES” if Valid. After five minutes, the system will attempt to text the home number and then five minutes later will attempt to text the work number. If there is no response within 20 minutes, you will receive automatic phone calls to confirm or deny fraud. We are excited to be able to offer to you the CU check card. No Cash, No Checks, No Problem. The check card works like a check. Use it to purchase goods and services as if you were writing a check.The purchase are deducted from your checking, and you will get a receipt for your records. Also each transaction will be detailed on your monthly statement. Use your Visa check card at millions of locations worldwide. If you don’t have one, apply today! Don’t forget about Pulse Select/ Money Pass….You have the versatility of using several ATM locations around the Lafayette Area aside from the one at our location, with no service fee at that ATM. View the MoneyPass ATM Locator for more details and locations. With the protection from Visa and the low fixed rate from your credit union, how can you go wrong. There are so many confusing credit card offers out there that promise you low introductory rates, but when the introductory period is up the deal didn’t turn out to be so Great! With Acadian Federal Credit Union’s Visa Credit Card, we strive to give you the lowest rate and fees that we can possibly offer. Apply today and the annual fee for the first year is waived. ezcardinfo makes your Acadian Federal Visa credit card easier and more convenient than ever. Access your balance, available credit, payment date, payment amount, transactions and even pay your bill online. Sign up today! Don’t have a Visa credit card with us? 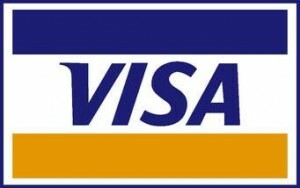 Apply for a Visa Credit Card! Reward yourself with Visa Scorecard! For every new dollar you spend in purchases with your Acadian Federal Credit Union Visa credit card, you’ll earn one Bonus Point. Accumulated points can then be redeemed for awards like appliances, jewelry, cookware and recreational equipment from Movado®, Toshiba®, General Electric®, and more. If travel is more your style, redeem your points for airline tickets, car rentals, hotel stays, experience awards, cruises and more. 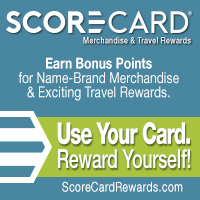 Watch your Visa credit card statement for your Bonus Points total, or log into the Scorecard website at https://www.scorecardrewards.com. Don’t have an Acadian Federal Credit Union Visa Credit Card? Apply today to start earning Bonus Points. Verified by Visa adds an extra layer of security to make it harder for someone else to use your Visa card to shop online in the unfortunate event your Visa card or account number is lost or stolen. Each time your Visa credit or debit card is presented to make an online purchase at a participating merchant, know that Verified by Visa is working to make sure it is you that is attempting to make that purchase and not someone else. There is no special software to install. You will continue to shop as usual, and your enrolled Visa card number will be automatically recognized at checkout.